Hot air balloons have been long associated with adventure as well as romance. A hot air balloon ride over the beautiful, romantic Napa Valley landscape is the perfect way to pop the question to your loved one. Take your sweetheart on the private hot air balloon flight and experience an exhilarating, fantastic airborne journey as you fly over the gorgeous Napa Valley scenery. A hot air balloon ride is one of those truly ideal wedding proposal concepts. This is because being up in the air gives you and your loved one a literally heightened sense of excitement and adventure. Popping the question aboard a hot air balloon, flying up in the sky, will truly be a touching, unforgettable experience. Now you have this airborne engagement idea in mind, but do you know how to plan the proposal? Here are some tips on how to stage that perfect wedding proposal on a hot air balloon over the breathtaking Napa Valley landscape. 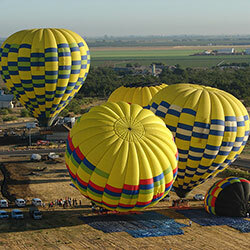 Do some research and investigation on hot air balloon flight service companies in Napa Valley. Balloons Above the Valley hot air balloons have been the location for many proposals over the last 38 years. Compare prices and flight packages to see what is available. Ask your girlfriend or partner if they are afraid of heights. Remember, their opinion matters! If they are afraid of heights, respect their opinion and never proceed with your surprise airborne proposal. But if they are not afraid of heights, then it’s a green signal to take them on the hot air balloon flight. Of course, you need a ring for popping the big question. After buying your engagement ring to be given to your partner, make sure you place it in a secure, concealed location where your partner cannot find it. However, make sure you remember where you place it! Plan and write down your proposal speech. You will most likely practice and rehearse it over and over until you feel you get it right. Go with your plan for about halfway through the hot air balloon ride. To make your proposal even more memorable, get your family and your partner’s family involved in the whole event, if appropriate. Wouldn’t it be nice to have both families waiting for you at the end of the ride? It helps if you are pretty sure your partner will say “yes” before planning and going on the balloon ride. If you are not sure, you may risk being humiliated! When you are about to proceed to the “big moment,” bring out the ring. Don’t stress about the speech you prepared. Finally, it’s time to pop the question! As you and your loved one are flying on a hot air balloon over the romantic scenery, get on one knee, pull out your ring, and ask, “Will you marry me?” It’s ok if you forget your prepared speech. You’ll end up saying things that are straight from your heart. Anything that comes from the heart is anything but amiss. Another tip: you may want to have someone else (e.g. 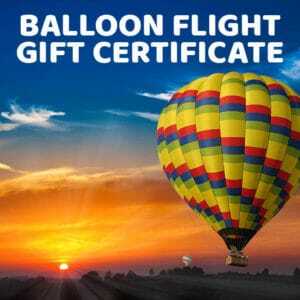 a common friend or a family member, perhaps) to go along with you on the hot air balloon ride. Assign him/her to take a picture and/or a video of you and your partner during the proposal. With the natural beauty of the Napa Valley, it provides a perfect romantic backdrop for your engagement. If you want to get the best out of your hot air balloon wedding proposal experience, there’s no other place to go than Balloons Above the Valley. We offer engagement proposal tours as well as wedding tours. 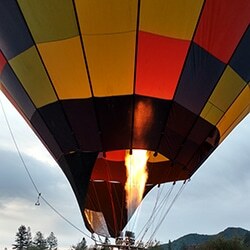 Plan your hot air balloon engagement with a call to Balloons Above the Valley. Give us a call to see how we can help you with your proposal plans. You may reach us by calling 800-464-6824 or send us an email at info@balloonrides.com. We are glad to provide you with the assistance you need scheduling and booking your reservation. Balloons Above the Valley looks forward to helping you make your wedding proposal wonderful, special and truly unforgettable. A hot air balloon ride is one of the coolest ways to stage a wedding proposal you and your partner will remember.